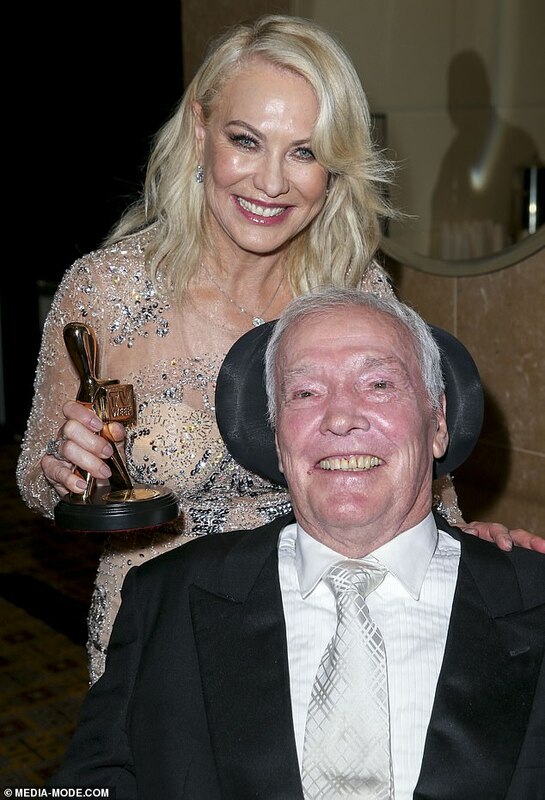 They were married for 35 years, but John and Kerri-Anne Kennerley started their romance as close friends in New York in the late ’70s. John, who tragically passed away on Wednesday aged 78, helped a traumatised Kerri-Anne leave her violent first husband, American record producer Jimmy Miller. He recalled how the Studio 10 star, 65, once turned up on his doorstep with a ‘black eye and a bloody nose’ after a fight that sparked the end of her abusive marriage and the start of their devoted union together. ‘He [Jimmy] was very abusive at times and you realise you can’t go on like that. But also, it’s really hard to get out,’ Kerri-Anne told Seven’s Sunday Night in 2017. The abuse got so bad that Kerri-Anne once pointed a gun at Jimmy and was prepared to kill him. ‘He always had a .22 rifle above the door in the bedroom so I just remember I was actually quite calm about it – I just went and got the gun, aimed it at him and said, “I think I will shoot you if you come anywhere near me”,’ said Kennerley. John was on hand to support Kerri-Anne throughout the traumatic time, and took her in after a particularly abusive episode. ‘When she arrived at my doorstep with a black eye and a bit of a bloody nose, I realised exactly what was happening,’ recalled John. The pair returned to Australia together and tied the knot in an extravagant wedding at the Sydney Opera House in August 1984. ‘We were the first wedding at the Opera House. It was just really nice,’ she said about finding love with John. 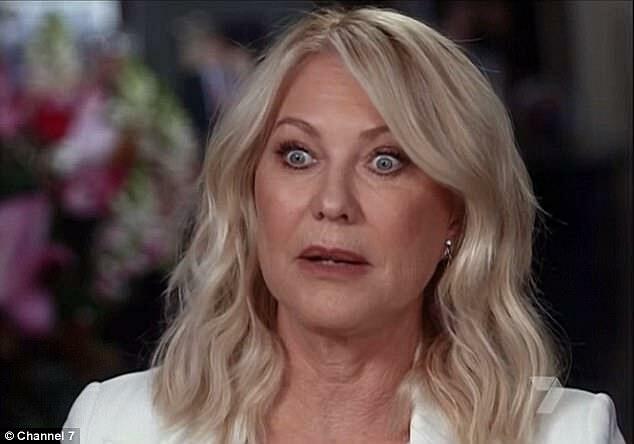 The couple suffered a devastating miscarriage in 1991 and never had any children, something that Kerri-Anne later admitted she regretted. John has two children from a previous marriage. The long-standing duo experienced further lows when John battled bowel cancer in 1998. After overcoming the disease, he supported Kerri-Anne when she was diagnosed with breast cancer in 2012. She had two lumps removed and is back to full health but continues to take the cancer prevention drug tamoxifen, despite its negative effect on her eyesight. ‘I know the exact moment when I discovered a lump,’ she told the Daily Telegraph while reflecting on her battle with cancer. Speaking to Body And Soul, she added: ‘I never thought I’d get breast cancer, but I became an average statistic like too many others. 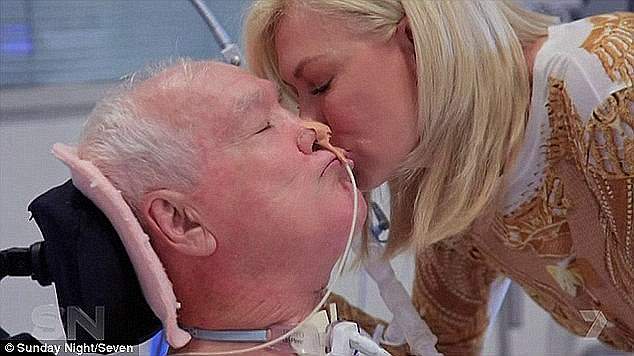 Kerri-Anne announced on Thursday that John had died at St. Vincent’s Hospital in Sydney on Wednesday night. 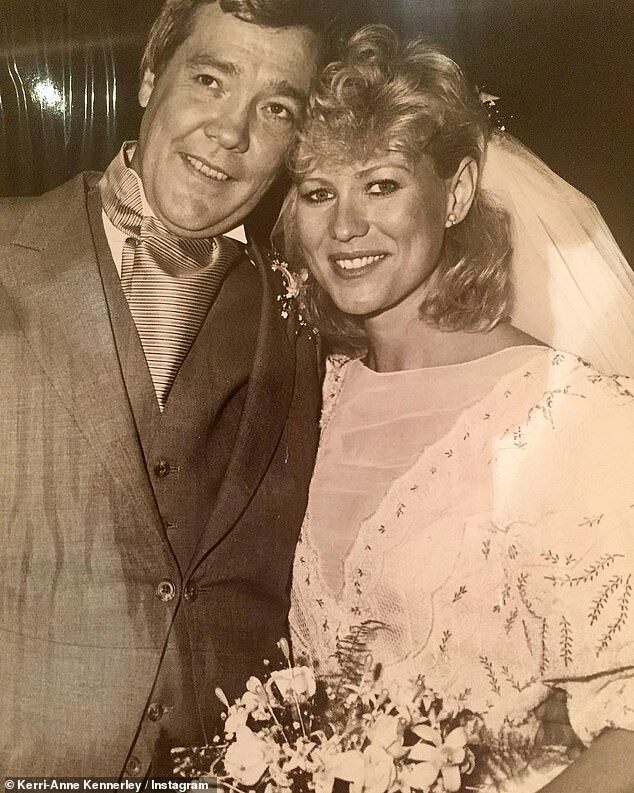 ‘It’s with a heavy heart and awful sadness that I let you know that my beautiful husband John passed away last night,’ Kerri-Anne wrote alongside a photograph of the couple on their wedding day in 1984. She went on: ‘I want to thank everyone at St Vincent’s Hospital for the beautiful care they have provided to John in his last days. He was left paralysed after falling from a balcony while taking photos of Kerri-Anne during a golfing tournament in Coffs Harbour, NSW, in March 2016. He was airlifted to hospital with spinal chord injuries. 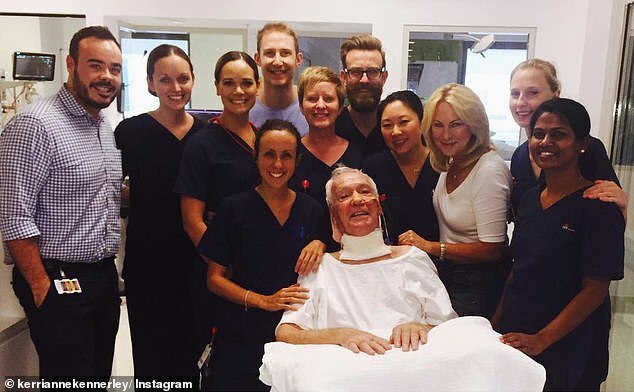 Doctors operated on his neck after it emerged he had fractured his C3 and C4 vertebrae. John was put in an induced coma, spent six weeks in intensive care and had multiple operations. Doctors diagnosed him as an incomplete quadriplegic. They initially warned that John may never again move or speak, but with Kerri-Anne by his side, he managed both. ‘[Kerri-Anne] is very loving and she has been the strength of my whole recovery,’ John said in a rare Sunday Night interview in 2017.